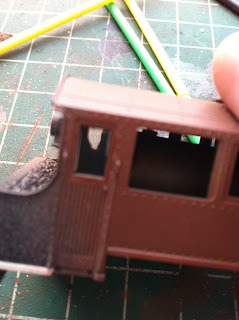 Well as is very obvious I haven't posted anything for months and haven't done any modelling for even longer. So I'll try to make up for the omission over the next few months. 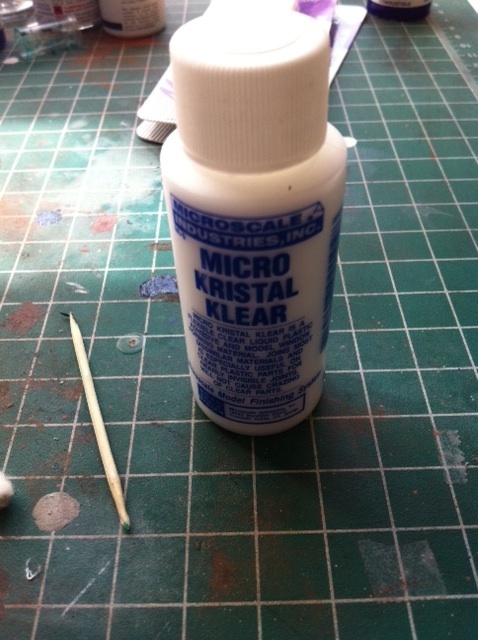 Here is a first quickie....a few days ago I was having a quick look around one of the local model shops when I saw a bottle of Microscales' Micro Kristal Klear. 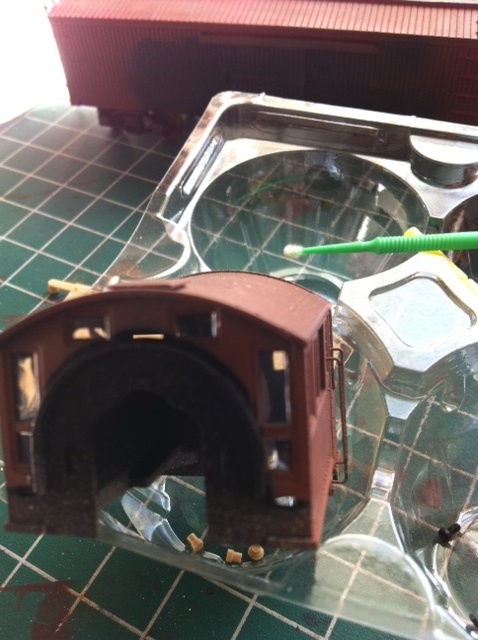 This is a flexible clear liquid used as a glue and/or a model window forming material. I've heard good things about it so I bought the bottle to give it a try and so far it seems to work as advertised....I've only used it on the smaller windows on a the HO loco in these 2 pics.....I'll give it a try on the bigger window opening visible in the pic to the right. I'll do a more thorough article on the application method this weekend but suffice to say that all that is required is the toothpick in the pic above.